As many of you have noticed, the House of Commons Library recently published a Report on Public Libraries. It updated a similar report published in 2011. The Libraries Taskforce team and DCMS libraries policy team would like to confirm that we were neither asked to contribute or comment on this report and had no notice of it pre-publication. We are aware that there has been a lot of comment on the Report regarding statistics. In particular, there is one example where data has been taken out of context from a Parliamentary Question: "To ask the Secretary of State for Culture, Media and Sport, how many public libraries have (a) closed and (b) opened in England since May 2010; and how many libraries which were previously run by professionally-qualified staff are now run by volunteers." There has been criticism that the answer didn’t draw on CIPFA data. However, the answer was prepared in that way as CIPFA data wasn’t available to answer the question fully. The historical CIPFA data provides information about the net numbers of library service points recorded by library authorities as being within the statutory library service and does not, for example, set out details about the number of public libraries in statutory library services in England that have closed since 2010. When CIPFA figures are available and relevant to answer the specific question, the Department does use them in its response. For example, in dealing with a Parliamentary Question that had asked directly about library closures in Wiltshire: "To ask the Secretary of State for Culture, Media and Sport, how many (a) rural and (b) urban public libraries have closed in (i) Wiltshire and (ii) England in each year since 2000". The Department’s full response as published in was: “The Department does not commission information relating to the closure of rural and urban libraries. 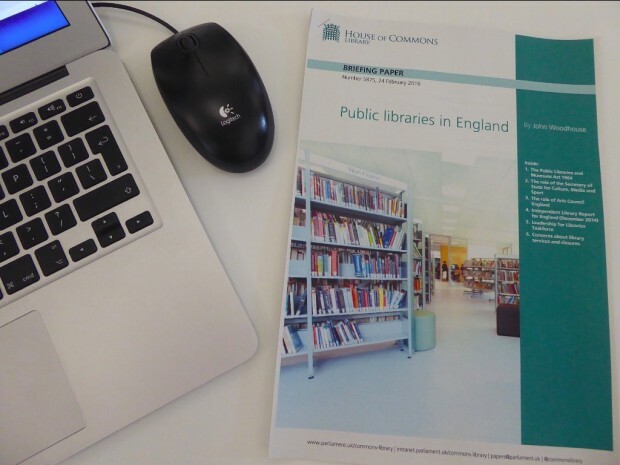 Data relating to public libraries is collected and published annually by the Chartered Institute of Public Finance and Accountancy. My Rt Hon Friend will note that the number of library service points in the Wilshire [sic] Library Authority has increased from 34 in 2000, to 36 in 2015. Meanwhile, in Labour-run Wales, the number of library service points in the same period dropped from 321 to 274.” The reply then included a table containing CIPFA statistics covering 2000-2015. Data about public libraries is complex as context is important. Data sets, for example, may include figures for the whole of the UK, they may include mobile libraries, and there is ongoing debate about how to categorise the different models of community supported or community run libraries. The Libraries Taskforce held a workshop at the end of 2015 which brought together many people from across the sector who have an interest in library data, to look at what was available, its strengths and weaknesses, and what would be helpful in supporting people making decisions about their services. We will talk more soon about what is being done to explore some of these ideas further. Are new libraries rarer than the giant panda? 1. How many children in each authority are unable to visit (at times when it is open) a library with a comprehensive range of children's books and staff who are knowledgeable enough to guide such young readers? 2. What policies are in place to ensure that stock is available in sufficient range and depth to satisfy the needs of users, whether students or the elderly or the unemployed? 3. How are library authorities supporting the specific information needs of job seekers, of business entrepreneurs, of care workers and of refugees and other groups trying to improve both their English language skills, their leisure reading and their job prospects? 4. What steps is central government taking to ensure that library services are efficient even after including the costs (in time or expenses) of library users in accessing library services? These are just the first few questions that occur to me. I am sure many others must have been raised in your departmental thinking. I really would like to know how they are being addressed.